Lowlands Beach is located 35km west of Albany along the Lower Denmark Road or 25km east of Denmark along the Lower Denmark Road. 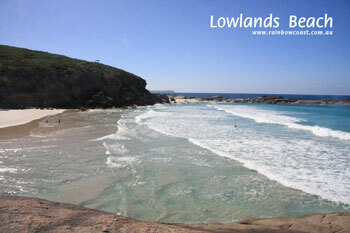 Lowlands Beach is remote but incredible. Lowlands Beach lies between West Cape Howe and the Wilson Inlet (and the Town of Denmark) in the 'Torbay' and 'Lowlands' area of coastline. 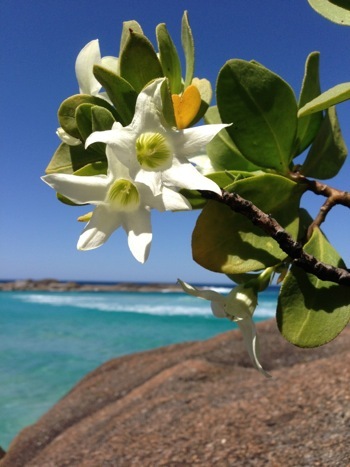 It's a beautiful beach, tucked between towering limestone cliffs. 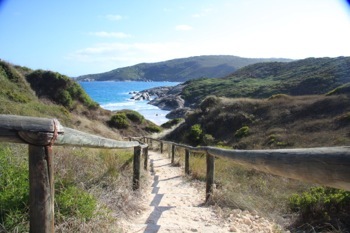 The descent from the carpark onto the beach winds down through the bushland onto a gently sloping boulder overlooking the beach. If you find yourself on the east side of Denmark and fancy a bit of time at the beach, Lowlands beach would be our choice! 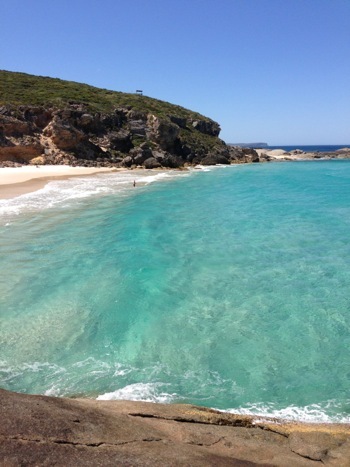 Turquoise waters of Lowlands Beach. Watch the rip! 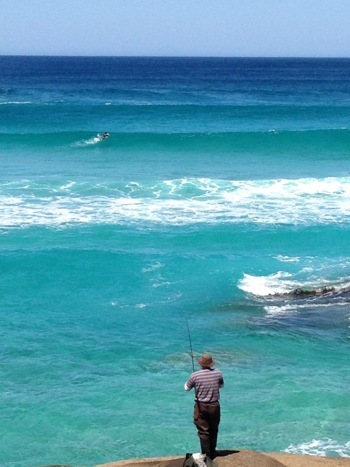 A common spot for rock fishing all year round. Wildflowers growing in between the rocks.